The last time Scribes Men traveled to Kelowna to face the Crows was in March, and it was one of the most riveting and memorable contests of the 2017 Spring season. Despite a big push up field from the Crows at the death, Scribes held on for a wild 24-22 win. Also, much like that beautiful Spring day, the Scribes will once again be sending only 17 bodies, so the challenge will be a tall one. If all goes well, however, history has shown us that Scribes are capable of picking up the win. The match at Parkinson Rec in Kelowna is scheduled for this Saturday afternoon at 2:30pm. The Surrey Beavers were stuggling all week to organize enough players for this Saturday’s match, and had to forfeit. 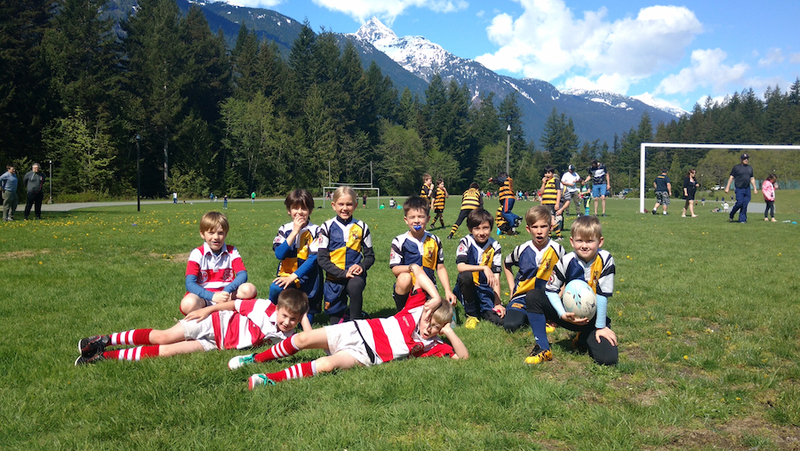 The first mini rugby jamboree of the season, which took place last weekend, was a huge success, with more than 100 kids participating. The Scribes Minis are hosting at Trout Lake yet again this Sunday, and will be joined by players from Meraloma, Rowers and Ravens. 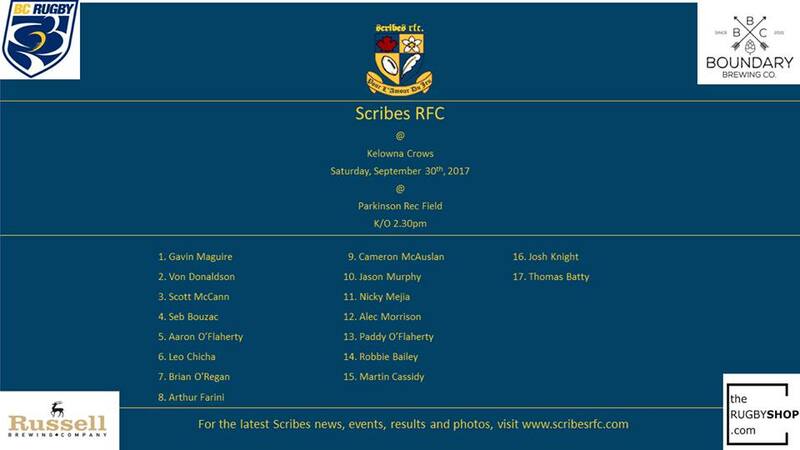 Scribes supporters, club members and parents are strongly encouraged to come out to the park to assist with the event and cheer on the Minis. The program begins at 10:00am on Sunday, October 1.